Apple just bought Beats, but rather than risk cratering iTunes download sales by evolving it into a streaming service, it will operate Beats Music’s streaming service in parallel to give listeners an all-they-can-hear subscription option. This confirms my scoop from last week that Apple wanted to run the two separately to allow for a graceful transition as download sales decline and streaming picks up steam. 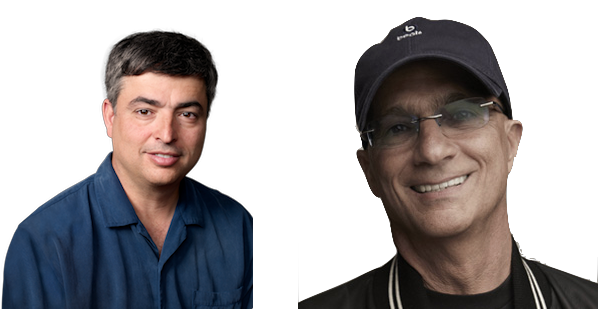 “The addition of Beats will make our music lineup even better, from free streaming with iTunes Radio to a world-class subscription service in Beats, and of course buying music from the iTunes Store as customers have loved to do for years,” Apple SVP and iTunes head Eddy Cue said in the press release about its $3 billion acquisition of Beats Electronics and Beats Music. Note that last line. Cue and Apple didn’t want to shock users by ripping the familiar download purchase model out from under them in favor of streaming. Instead, early adopters of streaming will have an option from Apple, while those still building collections of digital music files can keep buying them from iTunes. Financial Times’ Tim Bradshaw reports that Beats will remain available for Android and Windows Phone. As Kleiner Perkins partner Mary Meeker showed in her new 2014 Internet Trends report, digital music download sales are falling while streaming is booming. Digital track sales fell 6 percent in 2013 and 13.3 percent total from Q1 2013 to Q1 2014. Meanwhile, U.S. streaming music consumption grew 32 percent in 2013. Essentially, selling music is a dying business and streaming is the future. But sales aren’t dead yet, and Apple won’t put them in their grave. While in Silicon Valley it might seem like no one buys music, there were still 1.26 billion songs and 117.6 million albums sold online in 2013. If Apple instantly turned iTunes into a streaming subscription service, the approximately $1 billion it pays out to labels each year might go up in smoke while users slowly migrate to streaming subscriptions. So instead, Apple can use Beats Music to smooth out the transition. Those wanting streaming can go to Beats, and, one day, if Apple deems music sales have fallen below the tipping point, it could switch iTunes to streaming then. The personalized, curated Beats experience Cook discusses here complements iTunes’ more one-size-fits-all approach. While iTunes would feature new and upcoming artists on its home page, most users likely came to the store with an intent for what they were going to spend their money on. Since each additional stream is free on Beats, users can explore and experiment more. That makes curation and personalization like its “Just For You” homescreen more important since users need guidance. Again, this lays out a highly functional dichotomy where more traditional music listeners stuck in their preferences can use iTunes, while more open-minded users willing to discover new artists and styles can find a home on Beats. Now the question will be whether Beats’ price remains the same at $9.99 a month, or if Apple can convince the labels to let it lower the price to make it more accessible. Then we’ll see if Apple’s elegance and Beats’ street cred can combine to convince the world that the entire history of recorded music is worth a few bucks a month.